Tag Archives for " Meilenkauf "
Hilton Honors verkauft wieder Prämienpunkte mit einem 100% Bonus. Kauf muss bis zum 26.02.2019 erfolgen. Wer bis zum 26. Februar 2019 Meilen bei Hilton Honors kauft, bekommt 100 % Bonus. Pro Konto sind maximal 80.000 Punkte pro Jahr erlaubt zu kaufen. Manchmal gibt es auch Ausnahmen und mehr ist möglich. Punkte brauchen maximal 24 Stunden bis zur Gutschrift. 160.000 Punkte für 800 USD möglich. Hier geht es zur Promotion. Diese Promotion gibt es mehrmals pro Jahr und lohnt sich nur, wenn man einen use case hat. Die beste Einlösemöglichkeit sind die Hotels in der Hochpreisphase, auch wenn es nicht mehr so lukrativ ist wie vor den flexiblen Preisen. Points purchased do not count towards elite tier qualification. 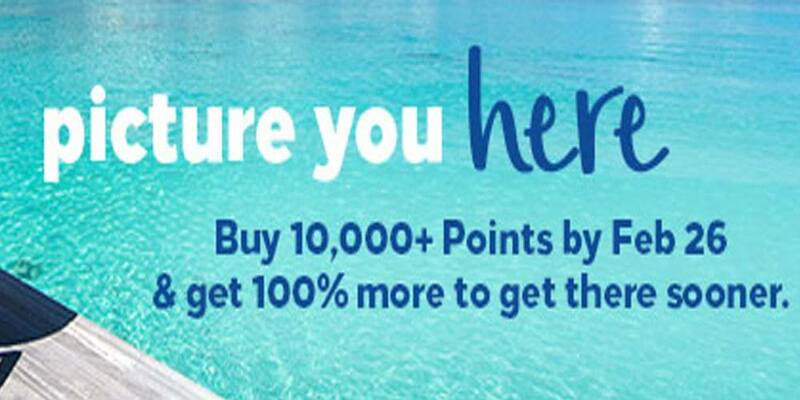 Points.com and Hilton Honors reserve the right to terminate bonus promotions at any time. All purchases must be made through the Purchase page on HiltonHonors.com. The 100% Bonus with a minimum 10,000 Points purchase campaign is available for purchases made between January 15, 2019, at 12:01am ET and February 26, 2019, at 11:59pm ET. Members may purchase a maximum of 80,000 points per calendar year. All purchases are non-refundable. Offer is subject to change. Offer cannot be combined with any other offer. Points will be posted to the recipients Hilton Honors account within 24 hours of the completed transaction. All Hilton Honors program Terms and Conditions apply. Hilton HonorsTM membership earning and redemption of Points are subject to Honors Terms and Conditions, available at HiltonHonors.com/terms. Price includes all applicable fees. GST/HST will be charged to Canadian residents. Email address is required and will only be used for transaction and marketing communications related to this purchase. Purchased points do not count towards Honors status upgrades.